Changing topics if I can for a quick second. A lot of questions came in with respect to our animals and pets, our cats, our dogs, maybe horses, animals in general.. and basically 2 quick questions I would like your feedback on. The first question is: why do our pets, our cats, our dogs not live as long as we do? They live maybe 10, 12, 15 years and then they end up leaving the physical body. There are a lot of questions that came in on that cause a lot of people don’t understand it, they are concerned about their pet and it is very traumatic. The second question is: can you maybe talk about our pets in this Ascension process? What happens to them and how do they ascend? Just maybe to give some reassurance to the readers and the viewers. All of the animal kingdoms that you see around you are very experienced and high evolved souls who have chosen to assist in this ascension process and the duality by taking on forms of animals and pets as you call them, to bring awareness and to help the human experience as to how cope with different kinds of embodiments and energies than the Human one. They are here to the extent of bringing awareness, to bring and show what acceptance is. They have chosen to take on short lifetimes because they have a short soul contract. They do not have to learn like human beings have to learn an entire lifetime of maybe 70 to 80 or 100 years. They are such evolved beings that a 10 year lifetime would be enough for them because merely they are here to assist you all, to bring awareness to you all, to teach you a lot of things because they are teachers. All the animals are teachers, but like you at the same time they are experiencing at the same time. They are experiencing the Ascension process and the duality but they have more awareness than humans have. They were born with a greater awareness and an awakening and activation than you are, when you were born in a human being. The animals chose to have short soul contracts because what they bring as an assistance to you all is very important and as I have said earlier they do not need a lot of time to awaken and ascend as they are far ahead of you all. Do not worry about this when animals chose to go through the death process, just like human beings are, they are ascending as well. And as they are far more evolved than you are, they will go to the new world and meet you there as well. As the matter of fact, the animal kingdom has ascended a long time ago before you, when the alignment has taken place on December 2012. 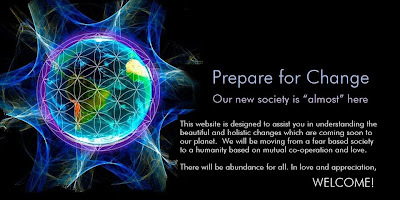 They already made the shift a few months before that, they have been awaiting you all in this new reality and as you are now reaching this reality, they are connecting more with you. You will see more butterflies, you will see more devas and fairies, unicorns. You will feel more Presences of the Dolphins around you! They are all eagerly waiting to connect with you and they are taking steps towards you and coming closer. They are searching for a new connection because they feel you are now ready to interact with them on a telepathic way. They have always been aware of this and they have always been communicating with you telepathically but the Human race was not ready to see this. The Human race was not able to feel or to hear this and as now you have reached this threshold ethereally and it is now being played out physically, you are now moving into a new world where a better understanding with the animal kingdom is being born again and where each and all individual will be able to communicate with each animal telepathically. So do not be worried about the animals, because this is what they have chosen. They do not wish to be here on Earth and serve you all, Humans and the ascension process by being in incarnation for another 80 to 100 years. They wish to do short soul contracts because being in an animal form is not always so easy as being in an human form. They have other instincts and even though they share a lot of consciousness as human beings have, by nurturing each other, by connecting with each other, they share a lot of other consciousness and instincts as well like you see in Africa; they kill each other to eat. Well this is an instinct of an animal and this is part of their learning process as well as this is a part of their incarnation contracts just as you have parts of your incarnation contracts as well, that are a part of your learning processes. Cats are very evolved beings, they are the Galactics in incarnation. There is a saying that cats have more than 9 lives, well yes that is correct and why is this? It is because they are galactic beings and they are so evolved and they have so many talents and gifts that they are here to experience and to bring a lot. So if you have guardian angels incarnated in cats they will be present in your life, always. They will nurture you and they will guard you always every time. You can see it in their eyes which ones are galactics and which are not. Not all cats are Galactics but most of them are and they are here to accompany you and to speak to you through their eyes. Look into their eyes and see how special they are. You will feel the Galactic presences into their little incarnation that they are. Horses are very enlightened beings as well, they are here to assist humanity in that way to bring awareness that humans are not the only intelligent beings on this planet, because horses are incarnations of Earthly Angels. They are here as keepers of nature they are here to serve Gaia and to bring many manifestation on your Earth. They are really absorbing a lot of energies and grounding these into Earth. They are our ground crew, they are the angelic ground crew and as they have a close connection to Human beings, they learn and teach the human beings that by working with their energies, by co-operating with them and their energies, a beautiful connection can unfold and be born into the heart. Horses will guide you and point at the important things what you exactly need to see and absorb at this time. They will ground you when it is necessary to be grounded again and they are here for you as they love you the most! Dolphins are very enlightening and very spiritual beings as well and they are the keepers of the portals and vortexes of the oceans, they are there to keep the portals open so that your galactic sisters and brothers of Light can travel through it back and forth, they are the keepers of the crystals as they guard the crystals that are found of the times of Atlantis. They watch over them and they activate every crystal that is needed to be activated at this time. So love them and be blessed my beautiful dolphins for you are wonderful beings by heart. I am so thankful that they are present here because they are doing so much for the oceans and they have one of the most toughest missions on Earth because the dolphins are not always treated the way they way they need to be treated. They deserve the most respect and love from every human being and still whatever happens with them, whatever disrespect they receive and pain they go through, they love you all intensively and deeply and they still continue to grown and bring awareness to you all. They still love you so much and they keep the oceans clean, they work constantly to purify the oceans to guard the vortexes and the portals and the crystals of Atlantis. They love you and Gaia deeply,they are here to support Gaia. They are a part of your soul consciousness because these are the Sirians and the Pleiadians incarnated in Dolphin embodiments. So as you can see the animal kingdom is far ahead of you and they are showing the way to you. It is time that all of your realize how important they are, that they are not just pets and animals that are lower than you or behind in evolution, because they have more awareness about everything that is unfolding than you are. This due to the fact that they have a close connection to Gaia and all the elements. The fairies are here as well, they are present at this time and they are making their presences more known at this time. Every day they are coming more forward and making themselves know to people in dreams but also in realities. They are trying to access your consciousness at this time because it is time to connect again with this new 5 d world and this new beautiful Light world you are accessing at this time. It is time to make a connection with them and they will search for a way find this connection with you. They are the ones who will take the first step and make a connection with you, so be blessed because they are truly wonderful beings. All the animal kingdoms and elementals, fairies, all what you call fantasy which is in fact reality, are now coming to you all by arising into your beautiful world. Embrace this and embrace yourself for you deserve this. Enjoy this new connection for it is the most beautiful one you can have. You are all so blessed, we are all so blessed that it is time to reconnect because we have all been waiting so eagerly for this, so does the animal kingdom for they have suffered enough. It is time to shift this consciousness into love and co-operation with the animals because this is why they are here. They all are awaiting you eagerly. Copyright © http://awakeningtohigherlove.com by Méline Lafont and Andy Bojarski. You are free to share and blog as long as the content stays unaltered. It is very difficult for us to speak of the dissolution of the Reptilians who did not agree to come to the Light, to come back Home to us. They were our children, all, and we loved them with all our hearts. It is a very sad time for us. We are in deep mourning as a result of their decision to be returned to Source rather than being restored to the loving, creative beings they were born to be. The Reptilian race was an ancient creation, born in the Orion star system long ago. They are powerful beings in their ability to feel deeply, as we do. Their qualities are indeed an important part of your human make-up; there has been some combining of your genetic qualities. Many of those who refused to be restored to wholeness, to have their DNA reactivated and restored to the state they were intended to be when they were first created, were the original children of Orion. They were ancient souls, by your standards, the children of our hearts. I am Mother God, and I gave birth to these Ones, just as I gave birth to all of you, my precious children. It was our greatest hope that you, our powerful Creator Race, would be able to not only defeat the Reptilians in your midst, but to also show them the way to the Light. You did succeed in preserving many of those who tried to take you over, to inhabit your bodies. Many of you who came to this life with the burden of carrying a Reptilian entity within your bodies did so as a great sacrifice. It was you who were able to provide the atmosphere of Love and Light which worked on them, little by little. As you were able to sustain yourselves in spite of their dark and destructive actions, your influence on them was felt. Gradually, as the energies rose on the planet and you became stronger and more able to withstand their interference in your thinking and actions, they began to change. Your strength literally flowed through their beings, because they were attached to you in a symbiotic way that caused them to feel what you felt, and it worked to begin the process of reactivating their original DNA. And so, many of the Reptilian children who had been lost to us were returned in the historic ceremony in which 999,000 passed through the gateway which Gabriella and Lucifer created to receive them. It was a moment of great joy and great pain for us. Of course we had hoped to save them all. Your great work during this lifetime made this possible. We will explain to you what your part was, and how you became the rescuers for these ones, your brothers and sisters who had gone to the Dark. This last effort to rescue as many as possible was agreed to in our Councils with you and with Prime Creator long ago. It was a complex plan, because it involved a two-fold effort. The Reptilians had to be convinced that their most powerful intervention would be to directly inhabit the bodies of humankind, rather than use their influence to bribe, threaten, manipulate and generally gain influence over you by violent means, externally applied. You are familiar with their assassinations and torture skills. They had been able to infiltrate governments around the world with their mind-control techniques and what you call black-ops systems to an enormous degree. As you know, the systems of banking and finance had been completely corrupted by their philosophy of greed and self-interest, which was promoted as “freedom of the individual” and defined as honorable self-reliance and independence. It was in fact, the evil agenda in fancy dress. Their power had spread through secret societies and closely-controlled interbreeding within the powerful families who maintained their hold on their power by any means available to them; their preferred methods were torture and assassination. Our dear St. Germain incarnated over a long period to try to dilute their influence and to lay the groundwork for the events which are evolving now. He established the society which began as the Freemasons. It was a powerful force for good in its early years, including many of the Founding Fathers who worked to establish democracy in America. Unfortunately, it was eventually co-opted by the ones you call Illuminati. We do not use this term because it implies Light; we prefer to refer to them as the Dark Hats. You are also familiar with another of their Dark organizations called the Mafia, or Cosa Nostra, which infiltrated businesses and political organizations across the globe from the ground up. Their power had spread to such a degree that it looked as if the entire political system in the U.S. and across the Western World was at the point of entirely succumbing to their influence, and the East was falling into their grasp through financial maneuvering and the influence of multinational corporations. Something had to be done to not only rescue the planet from their grip, but to also make one last attempt to rescue those of the Reptilians who would agree to leave the evil power structure and come to the Light. And so our plan was agreed to, to make one last effort as Mother Earth fulfilled her own destiny to ascend to higher dimensions. It was then determined that the only way to stop the march of the Reptilians to take over the world would be to convince them that there was a brilliant means of conquering those Lightworkers who had directly opposed them for generations. That would be to infiltrate their ranks by inhabiting their bodies in large numbers and thereby weaken the ones who were their greatest threat. It was a technique they had used in the past, but never enmass. It remained to convince the Reptilian leaders that this was the reason they had not yet completely succeeded. And so it was decided that the idea would be implanted in the minds of the most powerful Reptilians, and representatives of the Light would be sent in disguise to promote the plan. This was a complex operation in itself, which will all be revealed to you when you raise your consciousness to higher dimensions where you can study the historical records of all the history of your planet and the Cosmos as well. For now, you can compare it to the cloak and dagger action movies you are so fond of, and know it was even more complex and intricate than The Matrix. Eventually it was successful, and the Reptilian leaders began assigning their minions to inhabit the bodies of incarnating humans. The great wave of Reptilian inhabitation began after the turn of the 20th Century, and steadily increased until August 22, 2013, at which time every last one of the Reptilians were removed from the planet. The Reptilian invasion of human bodies was a success, but not for the Reptilians. It caused an awakening in those who were experiencing the emotions and thought processes of the human they inhabited. You see, it did have the effect we predicted. Our Earth Children were far stronger, far more resolute and solid than the ones who had redesigned their genetic program. They thought that by removing their capacity to love and to care, they would be stronger. They were completely wrong. It is the wondrous ability to love which is the great strength of humankind. It was astonishing to the Reptilians who were trying to “possess” their human hosts that they could not defeat you. They certainly tried. It was a battle for the souls, the hearts and minds of both the host and the invader. The wondrous thing was that neither was aware of this. From the human point of view, it was a struggle to maintain balance, to keep going in spite of illness, fatigue, deep feelings of malaise, anxiety, and even despair. For the Reptilian, it was a battle they had never expected – the gradual awakening of feelings they had great disdain for. The great irony of this process was that the Reptilians found themselves in a place in their own culture which is similar to the discomfort many of you feel because of your greater sensitivity, your greater awareness of the feelings of those around you and your dedication to doing good work in service to others. You are exceptional in your hard-nosed, competitive and extremely superficial culture – that culture which has been founded predominantly on Reptilian attitudes and beliefs. And so, like you, they found themselves unable to tell their friends and family about the stirrings of their hearts. Now it is time for the unfolding of a new way of thinking, a new way of organizing your lives. Those among you who are the planners, the organizers and the designers will flourish. Your skills will be needed in so many ways, as you work together to establish your new structures to care and guide your more evolved ways of living. Teachers will be able to teach what they love, and testing and grading will be a thing of the past. Children will learn the Socratic method from birth on, and the free exchange of information will excite and elevate all curious minds. The gardeners and farmers will find new ways to enjoy the creation of glorious landscapes, without the arduous toil you are used to. Inventors and scientists will have a field day working on new technologies to make life gloriously comfortable and fulfilling. Mathematicians, physicists and astronomers will find their minds expanding to take in astonishing new concepts, where even the sky is not the limit. It is possible, Beloved Ones, to live at peace with each other and with your dear Mother Earth. You will return to the Eden of old, and you will find yourselves wiser, more loving and stronger than ever before. Most of the troublesome feelings and conflicts you experienced in the past will fade, as greater and greater numbers of you begin to discover your true nature as the Creator Race. It will be a great relief and pleasure to you to learn how easy it is to be light-hearted, once the grinding Darkness is removed from your daily lives. Listen to the recording of Mother God and Prince Reginald, leader of the Reptilian forces, as they tell the story in their own words, at BlogTalkRadio.com/ChannelPanel, August 28, 2013. Greetings my dearest ones. From the bottom of my heart I embrace you all with my Presence and my energy of Love. I am here to bring an announcement into the depths of your hearts. Prepare yourselves as the intensity commences as soon as we can call it “now”. Everything is ready to move on to the next level of consciousness and integration. This step has been taken a long time ago on an etheric level but is now followed by the actual big step for you all into a higher level of consciousness and integration of the next new energies and degrees of the multidimensional aspects that you are and perceive. Those new integrations enable your consciousness to move on into a higher state of Being where your knowledge will enrich itself with the numerous multidimensional aspects that you represent and uphold. With each new integration of a multidimensional aspect of yourself, there will be some shifts in your personal parallel world requiring the need for a greater surrender and trust in yourself and in the Divine. It is essentially important that complete surrender and trust in the Divine AND in yourself becomes factual as you are finding yourselves in a stream of energies which will take on an increased pace and speed than was originally the case. The time of the integration of the old energies and of the last new energies are as good as done, opening the way for the next new and even more refined energies which are waiting in the wings for all of you to assimilate in your consciousness and in your state of evolution. Are you ready for this, my dearest ones? You’d better be as this will again imply a very intense wave and an affluence of energies which will not leave your parallel world and Being unaffected. Prepare yourselves for the most intense rides ever to occur in the history of the world and of your whole Being! Integrate all the energies that your body canalizes on Earth in the best possible and personal way. Those energies are being brought to you from the Cosmos to various souls on Earth, in different manifestations on Earth, in an as comfortable and intense way as possible because everything that is being canalized by your Being has its own means of transport on Earth namely your physical aspect in consciousness : your physical body. Be kind to yourself while dwelling on Earth, there is a lot to cope with and to integrate at this moment and everything that you allow to canalize through your body and your Being will be of enormous proportions to the Light. Increasingly pure Love as an essence will flow through your hearts to the earthly incarnations of all of you in a progressively deeper and intenser way. The mix of energies changes each time and its composition becomes ever so bright of light and pure of essence : or more specifically, unconditional Love. The more you all integrate and shift in your consciousness while incarnated, the more you shift into a more light temple while incarnated and the more you will be able to canalize the essence and purity of Love through your earthly temple and Being. I tell you, this is wonderful, beyond words! The upcoming Merkabah formation is something I would like to give my perspective on as it implies a rather serious marker in this whole evolution of the planet Earth and Her density. What the Merkabah represents is merely a portal into a new Dimension of Being. By the specific positions of those planets around the Earth you will function as the centerpoint of this whole Ascension process. My dearest ones, by this I mean that at that specific moment you will be, for this one time, the centerpoint of the entire cosmos as it were, to where all Divine energies, all the energies of the Light and all the attention of all in existence will be drawn in order to be able to function as a future sun and star. This creation is always coupled with intense creations for which of course a high degree of consciousness is required, for which a great number of shifts and adjustments are needed and especially for which a great number of cleansings have to take place. This is all unfolding now on Earth and within yourselves. From the perspective of Earth this all does not seem to imply big shifts but from a more etheric perspective it surely is a most intense shift my beloved friends, believe me! You will truly perceive and experience this personally the more you are attuned to this higher etheric world. However, give it time, the process evolves speedily enough, you can take my word on that. When during this Merkabah formation you function as the centerpoint and the center of your consciousness (your consciousness contains the whole of the cosmos, making you the centerpoint of the cosmos at that time) you will each and everyone take on the duties to canalize all these energies in the best possible way to assist the Earth in Her consciousness and to create this flower formation of live in the form of a grid. Each of you in their own right will function as a leader carrying his/her own responsibility to assist in all of this and to cooperate in the forming of your Being in your consciousness on Earth and on your parallel reality in which you dwell. You are now busy actualising your Divine consciousness and your Christed embodiment on Earth and in your reality. Your consciousness has evolved to such a degree or is still in the process of evolving to such a multidimensional aspect of your Being that serves from the highest integration that you are. This implies, my beloved friends, that everything that you truly ARE now comes into your consciousness where it greets you and joins with you on such a level and in such a way that everything that you know, everything that you are in density and everything that you have created thus far (the old) will no longer be important and will no longer manifest in your reality. What remains is everything that you Are as seen from the highest point of your Being, your pure essence and that will lead you now to what you are, what you shape and create in your reality of the parallel Dimensions. By all means, congratulations are in order!! You have just reached a quantum jump in time where everything of the old in reality is no more and everything evolves as it should! manifestation from the depths of your hearts. I therefore express my heartfelt and cordial congratulations and my gratitude for a beautiful job well done. Take everything as it unfolds on your world and do not be discouraged by the way that you still take on specific issues as you are still somewhat enclined to do it in a dualistic way, more specifically, with expectations and linear thinking. These can still be prevalent and trigger your heart feelings to doubts or discouragement. That is your ego dissolving and being mixed with your new and refined Being, of which the heart is a greater part and the ego is the little part of your Being. This will shift that way, constantly being worked on until your Being and your heart are One and the ego is no more. BUT it is a work in progress meaning you will have to work on it constantly. As they say, there is no such thing as a free lunch ; if you want to succeed you have to do your part. “I Am St Germain, and I come before you in this Grand Company and I asked that that particular music be played because it is the story. * You heard the mighty and powerful country whose leaders decided that they could better rule other countries, and indeed they were successful for a time in Europe, and even in another part of the world – in the Americas. “It is all known to the World leaders, even now. It is known to all of you who have done some research on this. Why are we telling you that you do not need to focus upon it at this point? We are asking you to move ahead and take your Freedom, accept it and LIVE IT to bring about the transformations that you desire tohave!!! This is where we are in this Grand Evolvement that you call Ascension, and we call it Ascension as well. That’s a grand word!